IN THE PAST DECADE, SACRAMENTO HAS been emerging from San Francisco’s shadow. Once dubbed a “cow town,” it has become known as “America’s farm to fork capital,” showcasing the region’s agricultural bounty and some stellar restaurants and craft breweries. The new Golden 1 Center, whose food concessions are locally sourced, and adjacent Kimpton Sawyer Hotel has reenergized the downtown. 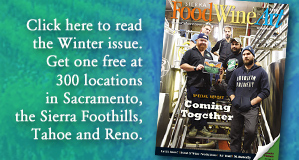 This tidal wave of prosperity for farm-to-table cuisine, wine, craft beer and cocktails, entertainment and hospitality — what we like to call the “food, wine, art” economy — is continuing to spread east from the Central Valley,up into the Sierra Foothills and High Sierra. In our region, cities such as Nevada City, Grass Valley, Truckee, Auburn, Loomis, Placerville and Folsom, among others, all are benefiting from new investments. This includes hotels, restaurants, wineries, craft breweries, performing arts venues, and public art. 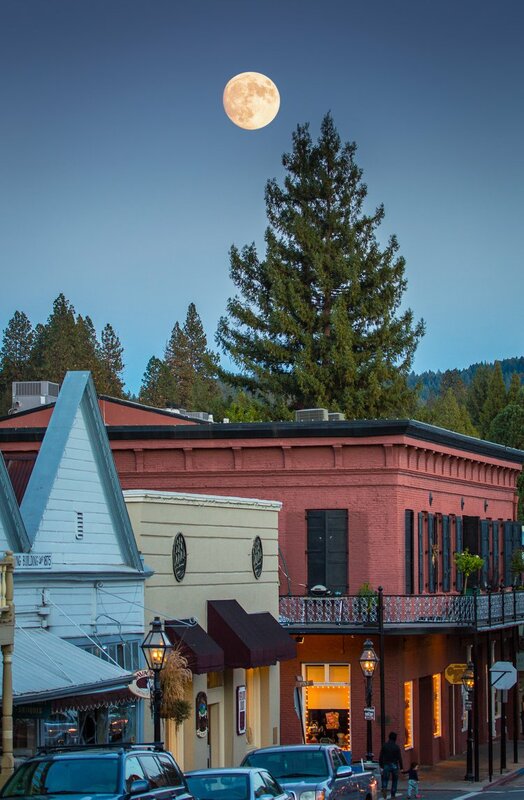 In Nevada City, the National Hotel — the oldest, continually operated hotel and saloon in the West — has been sold, and the new owner plans a multimillion-dollar renovation to breath new life into the 40-room hotel with a restaurant, bar and swimming pool. Located in the historic downtown, the hotel opened in 1856. 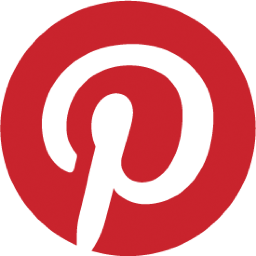 It is the site of meetings that led to the formation of the Pacific Gas & Electric Co. Famous guests have included Mark Twain, Jack London, and Lola Montez, and U.S. Presidents Grover Cleveland, Ulysses S. Grant, and Herbert Hoover. The National Hotel at 211 Broad Street is listed in the National Register of Historic Places, as State of California Historical Landmark #899. “The bones are amazing,” says Fife. Fife is the son and grandson of former Nevada County residents and met his wife (also a former resident) in town. “I have been coming to Nevada City since I was a child,” says Fife. Like Nevada City, neighboring Grass Valley is attracting new investments. The iconic Nevada County Bank building in the historic downtown has sold, and the new owners have imaginative plans for the historic building. The new owners are longtime locals Craig Hamilton and Lore Reynolds-Hamilton. The husband-and-wife team have a knack for renovating historic residences and commercial buildings in our area. The building at 131 Mill Street dates back to 1917 and is considered the second-most architecturally unique building in Grass Valley behind the Del Oro Theatre. “We’re going to polish it up and turn it into something cool,” says Craig. The 10,560-sq.-ft. building has two stories for retail and office space. The Hamiltons hope to complete the renovation in six months. The purchase comes on the heels of a planned $3.8 million renovation of The Center for the Arts. A new 80-room hotel also has been proposed for the area. Political and civic leaders are excited about the growth, including Mayor Howard Levine, an artist and innkeeper. The Hamiltons grew up in Nevada County. “I am lucky enough to have been raised and to be able to raise my children in this beautiful county,” she says. The project on the east end of the historic district includes the Artists Lofts, a four-story, 77-unit affordable housing project. The ground floor includes 3,855 sq.-ft. feet of commercial and retail space. Other features include the Truckee Art Haus & Cinema, a three-screen movie theater that is expected to break ground this summer. The owner-operators are locals Steven and Melissa Siig, and it is their second movie house in the area. Truckee town officials are working closely with the developer, Holliday Development of Oakland. Despite some setbacks — Nugget Markets recently pulled out of the project — the developer says the Railyard project is on track. In Placerville, Hallmark Development, the developer-operator behind the Gold Miners Inn in Grass Valley, is proposing a 60-room boutique hotel and conference center. Hallmark recently spent close to $1 million to further upgrade the Gold Miners Inn, which guests have applauded. The City of Loomis is constructing a new, $2.4-million streetscape along Historic U.S. Route 40, or Taylor Avenue. It encourages locals and visitors to walk down uniform sidewalks going from High Hand Nursery, High Hand Cafe and its historic Fruit Shed to Horseshoe Bar Road, past numerous local merchants. Rancho Cordova is now home to a burgeoning “barrel district,” featuring local breweries including ol’ Republic and Loomis Basin Brewing Co.
Nevada County’s incorporated communities — Grass Valley, Nevada City and Truckee — are now part of a pilot program of only 14 districts statewide that are tasked with shaping future generations of California Cultural Districts. The California Arts Council’s program was dev-eloped to grow authentic grassroots ￼￼￼￼arts and cultural opportunities.